A Head Start Program in Bogalusa, Louisiana launched an event that was aimed at getting male family members more involved in the local early childhood learning program. Dads for December is a hands-on opportunity for fathers, grandfathers, godfathers, uncles and other significant male figures to become more involved in a child’s life. The Dads for December program is one of four events that are held each year at the local Head Start Program under a wider opportunity known as Head Start’s Dedicated Dads. The program encourages participation between male figures and children to complete craft projects, giving fathers and other important males in the family a chance to see what the child does at school. The event began with refreshments and a short meeting of the men about what they could expect from the activity. Then they went into the classroom and worked on the craft project made from school supplies, together with their child. Considering that this was just a local event at one Head Start Program, the turn out was fantastic. Over 65 dads and other significant male family members showed up to participate in the program with children from Early Head Start and the Head Start Program. Work schedules can make it difficult for males to participate in school programs, which made the level of involvement seen even more remarkable. When fathers cannot attend, typically mothers, aunts, uncles and grandparents attend with the child, however the importance of fathers attending and the influence it has on the children cannot be stressed enough. Programs like Dads for December and Head Start’s Dedicated Dads gives male figures a chance to see the quality of care that is being provided at the program and to get a glimpse of their child’s successes at the educational center. Some of the crafts that fathers, grandfathers, uncles, brothers and other male figures completed with the children included picture frames and reindeer puppets for the coming holiday. Programs like Dads for December are good for both the men and the children, providing them with the opportunity to spend quality time together. Program organizers say that the children love it when family members attend special events like these. Dedicated Dads began a couple of years ago as part of the national Head Start Program. It was an attempt to get more males involved in supporting the children in the program. The goal was to make sure that dads and other male figures knew that they could be involved in the child’s education in a number of different ways, that they were invited and welcome to participate. Males are encouraged to just drop by and sit down to read with their child or get involved in other ways that they feel comfortable. Head Start Administrators say that many of the fathers are shy at first, but the more they welcome and encourage them, the more likely they are to join in on activities and enjoy spending time with their child. Dedicated Dads is a male-only event. Any male figure or role model within the family can come and represent the child. Opportunities for moms and females in the family are available throughout the year. The meeting before the event also works to encourage men to participate in their child’s life in other ways and helps to prepare them for the next activity. They are asked to volunteer if they can fill a need as a guest speaker or as a helper to other men within the program. Activities for the men include bonding activities, such as going out to play golf, or helping with basic skills, such as resume writing or dressing for success in the workplace. These activities can help encourage men to come back, get involved and help support other members in the group. 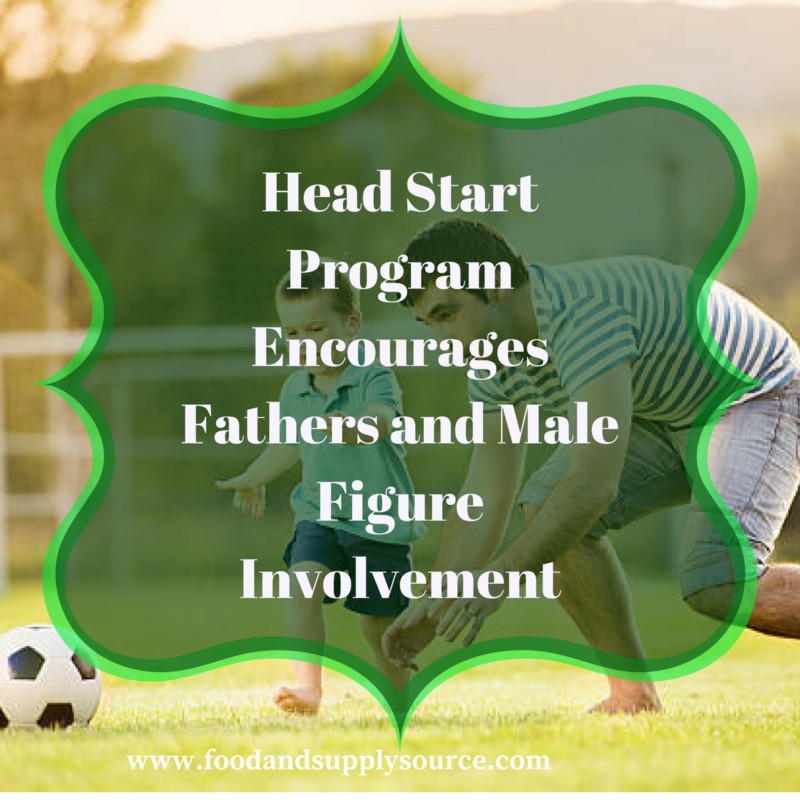 For Head Start Programs that want to add programs like Dedicated Dads to their event calendar but are working with a strict budget, SupplySource Plus can help. SupplySource Plus is a free service that can help human service organizations like Head Start to gain access to supplies that can be used to do interactive parent-child crafts, like the ones mentioned above. With school supplies and other important supplies often taking up a large part of the annual budget, SupplySource Plus works with suppliers to get our clients the best-possible rates, saving them between 10 and 35 percent each year. Call SupplySource Plus today or use our online form to request a free evaluation.